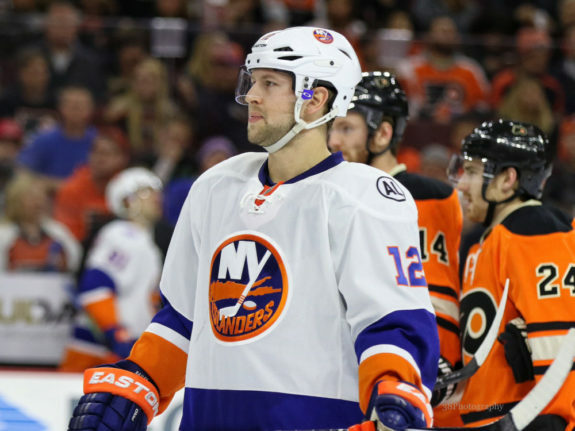 The New York Islanders announced that they have signed forward Josh Bailey to a multi-year contract extension. The deal is reportedly worth $30-million over six years and will carry an annual average value (AAV) of $5 million. Bailey will remain with the club through the 2023-24 season. Bailey is in the midst of having a career year with the Islanders – scoring 15 goals and adding 47 assists for 62 points in just 57 games so far. While he’s already hit career highs in assists and points, he sits just one goal shy of tying his career high (16) set back in 2009-10 as a 20-year-old. Now 28, Bailey was late in reaching his NHL potential – seeing a jump of nearly 0.7 points per game over the last two seasons. While he has struggled in possession numbers this season – with a 46.2 Corsi For Percentage (CF%) and 44.6 Fenwick For Percentage (both at even strength) – he has been a catalyst for the team on the offensive end. Tied with rookie sensation Mathew Barzal for second in team scoring – behind only John Tavares’ 64 points – Bailey has helped keep his team in the playoff conversation. With all things considered, there was no question that Bailey would see a raise of some kind if the Islanders hoped to keep the pending unrestricted free agent. In the final year of a five-year deal that saw the forward paid an AAV of $3.3 million, signing Bailey is a huge step for the Islanders if they have any hope of re-signing Tavares to a long-term deal. Tavares is set to become a free agent at season’s end as well and should find some comfort in the fact that the Islanders are looking to lock up his linemates – Bailey and Anders Lee – to play alongside him should he remain with the club. Still, he’s focused on his short-term future rather than what comes next. As mentioned, Bailey was slower in developing into the offensive threat he has become over the past couple of seasons. In 696 career regular season games with the Islanders, he has 368 points which ranks him 16th on the franchise’s all-time list. 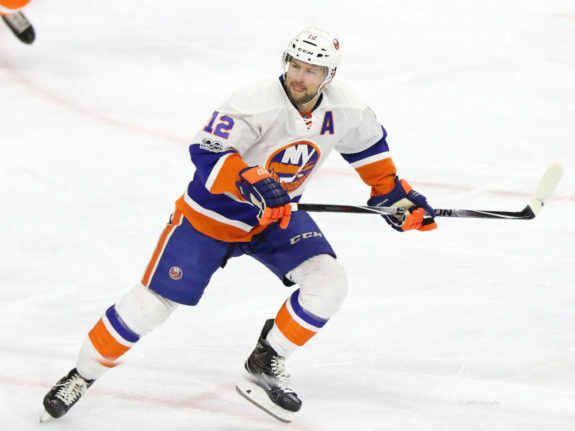 He’s in his 10th NHL season and has played his entire career with the Islanders after they selected him ninth overall in the 2008 NHL Entry Draft. This season, Bailey has managed to make his opportunities count. He has just 105 shots and a shooting percentage of 14.3 to this point. He averages just over 18 minutes per game for the Islanders and can help the team out in all situations including special teams. As for the rest of the Islanders, there’s a number of players that will be looking for new contracts at the end of the season aside from Tavares. The team has six pending UFAs outside of Tavares – including Nikolai Kulemin, Jason Chimera, Calvin De Haan, Thomas Hickey, Jaroslav Halak and Christopher Gibson. While they also have five pending restricted free agents in Brock Nelson, Shane Prince, Ross Johnston, Alan Quine and Ryan Pulock.